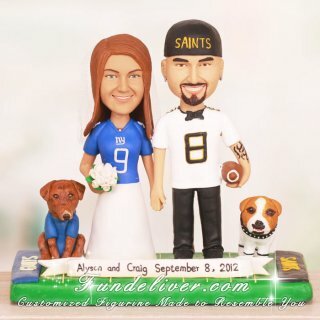 This is a completely customized New York Giants and New Orleans Saints wedding cake topper ordered by one of our customers. 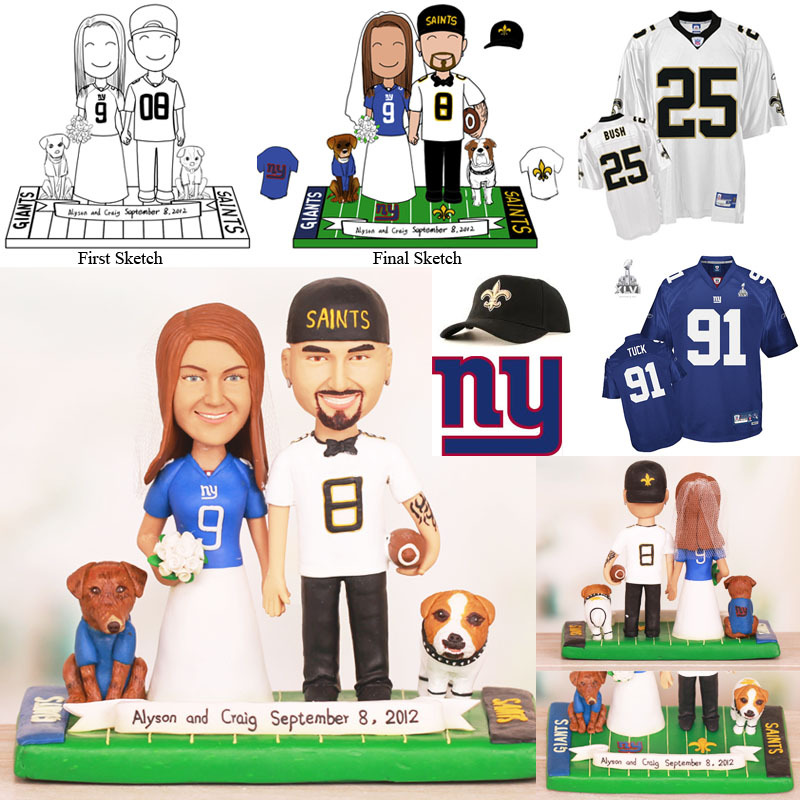 They would like the bride to be in wedding dress with NY Giants blue jersey on top and the groom to be in New Orleans Saints white jersey and wearing a black backwards Saints baseball cap with fluer de lis on both sides. The groom has silver hoop earrings and tribal tattoo on his left arm and is bald with dark brown goatee. Also they would like to add their two dogs, English Bull dog next to the groom and plott hound next to the bride. They are both holding hands, standing on a football field with their team logos and a banner saying “Alyson and Craig September 8, 2012”.